College Blue [Highest Honour of the College] Award of science College. N.C.C – A&B Certificate holder. Regular Player of Volleyball in Patna District Volleyball Association. Member- B.N. College Athletic Society. Former Member, Patna University Sports Board. 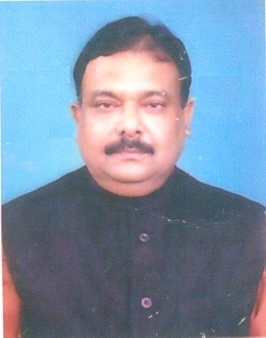 Member- Gardanibagh Thakurbari Prabandh Nyas samiti. Member- B.N. College Geological Society, Patna University. Former General Secretary, Janta Dal [U], Bihar. Present treasurer- Janta Dal (U), Bihar. Convenor- Teer Club, Patna Mahanagar. Arsenic Contamination in Ground Water of Bihar Causes, Issues and Challenges. A Journal of Patna Science College. Geospatial Assessment of Ground Water Condition of Patna District, Bihar (CIBTECH) International Journal on Geology. बिहार विधान परिषद् की सदस्यता : 26 मई, 2014 ई. अभिरुचि : Book Writing, Helping the weaker Section of the Society for the Upliftment, Sports,Art and Culture.